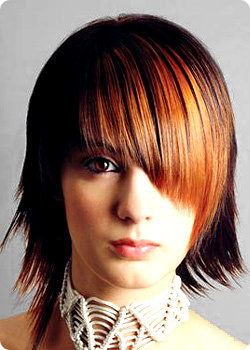 The stylists at Into Hair thoroughly enjoy all aspects of hair colouring. The majority of our substantial clientele make use of one of our colour services to enhance their style and look. Our team have a fantastic reputation in this field, and have competed in - and won - many national hair competitions over the years. In the salon, we use L'Oreal colours and stock every colour that you could desire. We do insist though, if you have not visited the salon before for a colour service, that you have a skin test 48 hours prior to your appointment.